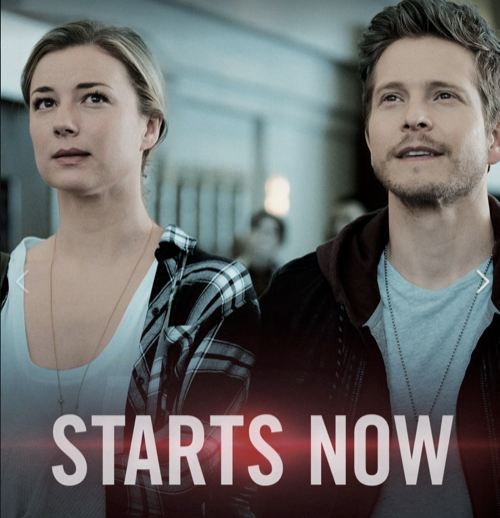 The Resident season 1 episode 11 airs at 9 PM – 10 PM ET on FOX. Make sure to bookmark this spot and come back for our The Resident recap! While you wait for the recap make sure to check out all our television recaps, news, spoilers & more! Nic and Conrad arrive at work. They watch Dr. Bell’s promo for the hospital in the lobby with disgust. A colleague comes by to tell Conrad that Bell is performing surgery on his patient. Another surgeon was scheduled but came down with the stomach flu. Conrad rushes to see them. In the meantime, Bell accidentally lights the patient on fire in the OR in the middle of the surgery after using the cauterizing tool. Conrad comes running in to help put it out. The sprinklers go off. Bell continues to instruct everyone around him while he stands there with arms up. Claire calls Nic in to speak with a risk management specialist. They need to put her on leave because Lily’s family is suing the hospital. Just as Nic is about to ask some questions an administrator comes in to tell Claire that a patient caught fire in the OR. Claire runs out of the room and finds Bell and Conrad wheeling the patient out. She tells Bell she is going to watch the cameras to see what happened. Devon meets a patient who is afraid that she could be poisoned because she swallowed some mouthwash. As he continues to talk to her and look her over, she complains about more and more symptoms. Nic and Conrad meet in a hospital closet. Nic tells him she has been out on leave. He comforts her. Claire calls Mina in. She tells Claire that the fire was caused because the oxygen under the patient’s mask was pooling. It was not Bell’s fault. Conrad meets with the patient who caught fire. He has a large tumor on his neck. It has made himself conscious for a long time. He feels like he looks like Freddy Kruger. He cannot believe his bad luck in surgery. Conrad explains that fires can happen in the OR. Nic meets with the risk management board. She explains what she observed with Lily. She thinks Hunter gave her too high a dose of chemo over and over again. The board tells Nic Lily died from a potassium overdose. Nic tells them that is not possible. Nic comes in to see Conrad. She pulls him outside to tell him what has happened. She needs him to help her find proof. Conrad and Nic talk to Devon. They try to figure out what they can uncover. Feldman and Devon meet with a patient with abdominal pain. Devon catches something Feldman misses, a perforated intestine. A nurse comes running up to them. There has been an accident. She needs them to focus on several beds. Bell tracks down Mina to ask her about Claire and if she has been questioned. Mina tells him she told her the truth. She walks away leaving Bell worried. Hunter sits on the risk board. She tells them she thinks Nic set the potassium pump on the wrong setting and that is the only explanation for Lily’s death. Conrad’s patient starts to code. He has to cut into the side of his neck to take pressure off of the trachea so he can breathe. Nic tells Devon they will not blame her for Lily’s death without a fight. She tries to teach Devon how to draw blood on her but he has trouble. She decides she is going to go out on the floor, she doesn’t care. Devon tells her to be careful. She makes her rounds and is caught by another colleague. Feldman tells Devon to stop taking off from the ER to help Conrad. He needs to get a marble out of a little girl’s nose. Conrad goes to meet the board about Lily. He is told his meeting has been canceled. Out in the hall, Alexis, who was in for all of the meetings, tells Conrad that Hunter pinned everything on Nic and the board believes it. Conrad goes to see Claire. He tells her that it wasn’t Nic. Hunter has been mistreating her patients. She calls his accusations absurd. A video of Bell’s screw up in the OR goes viral. Devon meets with Nic and Conrad. Devon tells them all of Hunter’s patients’ labs came back normal. Nic is called back in for more questions. Nic tells the board she knows she set the potassium drip correctly. Someone else must have changed it after. Devon meets with a patient who says he has snakes in his throat. Devon pretends to extract a beige snake from the patient’s throat to satisfy him. Nic and Conrad meet to talk. Nic tells him she thinks Hunter did this on purpose. Claire calls Mina down. She wants to know why Conrad calls Bell the hands of death. She agrees to tell her everything if she does not tell anyone where she heard it from. Claire brings Bell and the board together. She shows them Bell’s OR video. Bell blames it all on Claire. They have old machines and that was the cause of the fire. He calls his fellow surgeon in, Dr. Chu to vouch for him. Hunter also speaks. She tells the board that they need a doctor to be the CEO, not someone who doesn’t know medicine. Conrad confronts Hunter. She tells him she will end him if he comes at her again. Nic is called in to see Claire. But she isn’t there anymore. Bell is the new CEO. He has some difficult news to tell her. Later, Nic waits outside with a box full of her things. Conrad comes out to see her. He tells her that this isn’t over.